We tell true stories that show extraordinary things happen when ordinary people answer God's call to collaborate with Him to restore the sacred in their lives and communities. 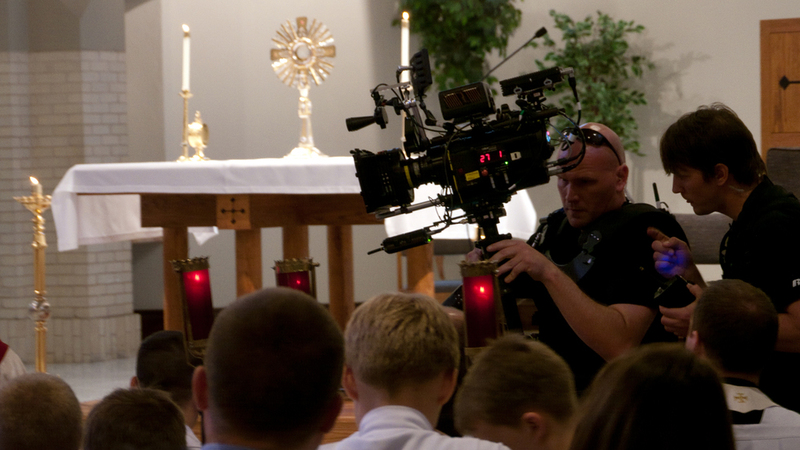 Our films encourage people to cultivate reverence towards God and the things of God. By inspiring people to grow closer to God in their daily lives, we are using media in all its forms to save souls for Heaven, save our country, and make the world a better place, one viewer at a time. We call all of this Restoring the Sacred. 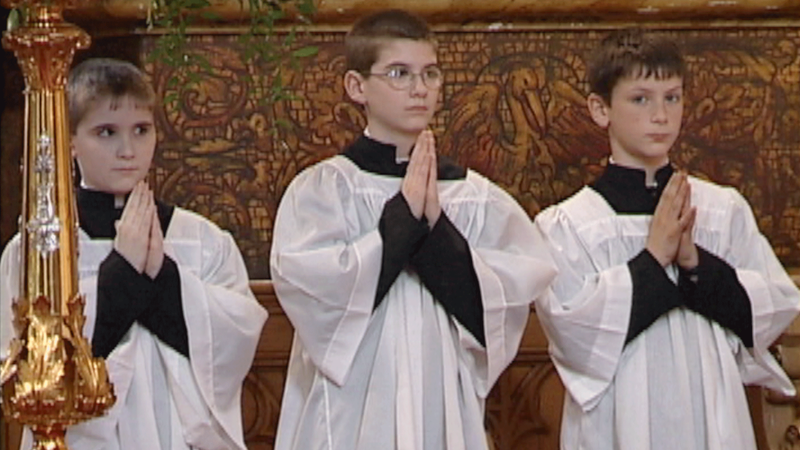 We worked with the Archdiocese of Omaha on three videos for their Totus Tuus program. The Program. Totus Tuus (Totally Yours!) is an energetic, national, parish-based summer catechetical program, for grade school through senior high school youth. Our Work. We utilized green-screen, compositing, and other computer generated imagery to create the look for this program. It has a natural look, but every element aside from the people interviewed was created in the computer. We were also unable to film "b-roll" for this program, so we instead animated still photos from past summers, along with a number of sound effects and music, to bring the story to life. Why take this project on? At first Totus Tuus looks like just another summer bible camp, but we found it to be an excellent, orthodox, and fun-spirited catechetical program. It is cleverly designed to captivate a child's or teenager's attention while incorporating our Catholic faith into their daily lives. StoryTel is proud to help promote this excellent summer program. 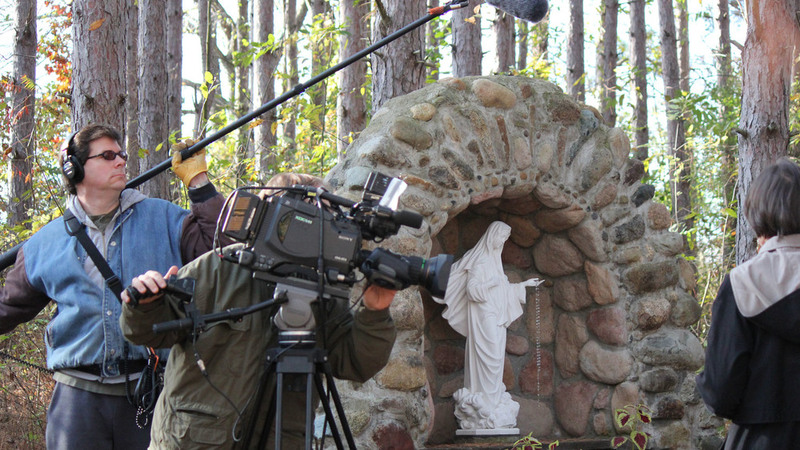 Our third On Assignment documentary film, Where Heaven Meets Earth, Restoring the Sacred at St. Peter Church, premiered on EWTN. The Program. Built in 1886, St. Peter's Church was one of the biggest parishes in Omaha, Nebraska. The construction of I-480 forced hundreds of parishioners to move away, contributing to its steady decline. 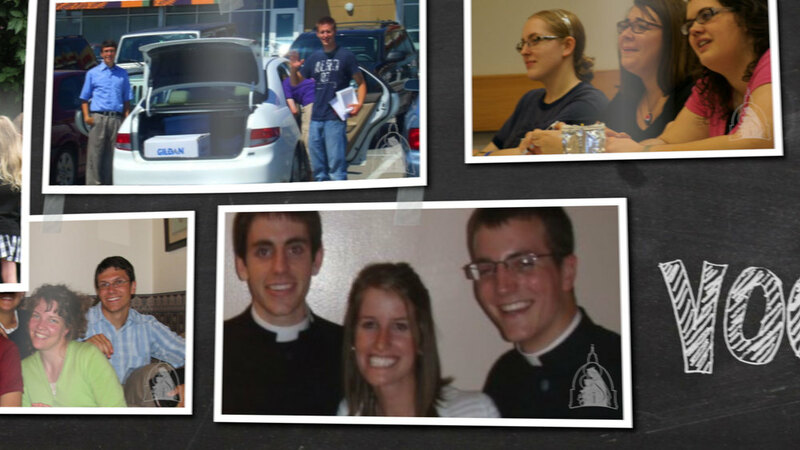 In 2004 its young pastor was inspired with an idea that would prove God had other plans for St. Peter's. Our Work. The filming included two record shooting days with up to seven cameras shooting beautiful footage simultaneously. We also filmed aerial footage for the first time. 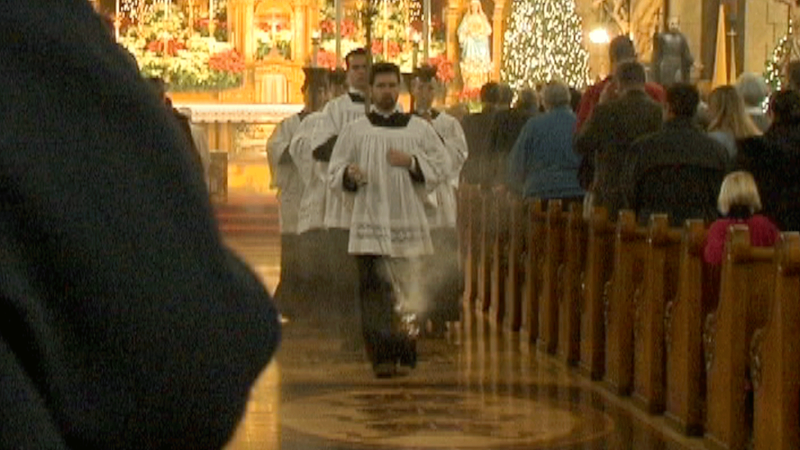 A huge hit, our St. Peter's program has aired four times already this year on EWTN. Why take this project on? It started with a simple video for a parish event. As we filmed we discovered a great story about a parish working together to restore the sacred and knew it would be perfect for our On Assignment series. We further discovered that Father Cook's efforts at St. Peter's were partly inspired by viewing our documentary about Saint John Cantius Church. 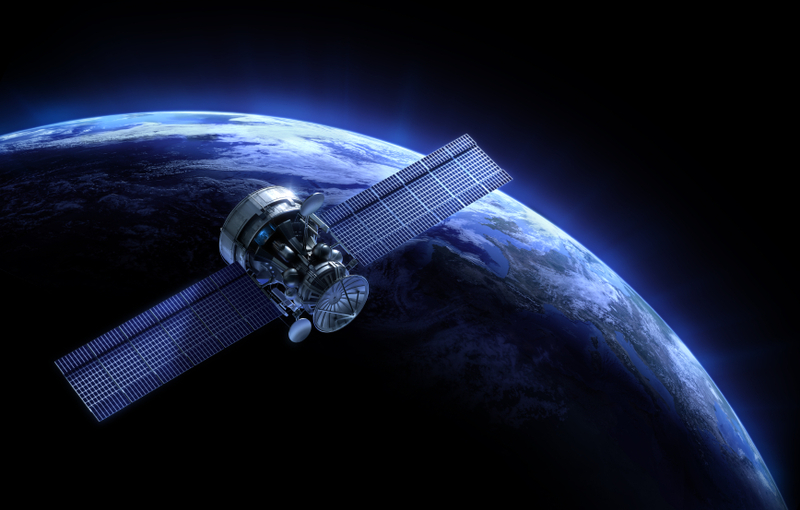 We like to call that the "StoryTel Ripple Effect." "The DVDs are fantastic! I have shared them with the priest of my parish and other members of my parish. We are working hard in restoring the sacred and spreading the Sacred Heart Devotion." We worked very hard to promote our latest film and were blessed to receive widespread coverage in the Catholic press for Where Heaven Meets Earth. Why spend so much time on publicity? As all filmmakers learn, if we don't promote our films nobody else will, and fewer people will experience and share these inspiring stories. Much like Hollywood films, we have found that this crucial marketing push requires at least a third of the time and effort we spend on the production itself. The Project. As usual we created a DVD for distribution following our first broadcast of Where Heaven Meets Earth. Our Work. This time we went all out on the creation of the Interactive DVD. We created a new brand called "StoryTel DVD." It includes Hollywood-style menus, bonus features, subtitles, the works. We also created a beautiful package and label, which is often the first impression of the film. We're very proud of how it turned out. The Results. The response from the EWTN broadcast and the surrounding press coverage was huge. We have distributed 1000 copies so far. When we receive a request for a DVD, we will often send two and ask them to prayerfully give away a copy, helping us further spread God's stories. We have received many notes of thanks and many testimonials about how the film affected viewers. Some people share the film with their parish and pastors and begin the discussion of restoring certain aspects of the sacred in their own church communities. "People write to me all the time asking about good causes to donate to, things they don’t worry they are wasting their money on. I think this is one." The Project. We completed this production in 2008 but began shooting it many years before. With advances in HD and other film technology, in 2013 it was time to restore the documentary. We took this film restoration project on because Saint John Cantius is StoryTel’s cornerstone production and interest in it has not waned since we first released it in 2009. EWTN continues to show it regularly and people continue to order DVDs. And in keeping with our theme of restoring the sacred, we were inspired to "restore the documentary" using the latest improvements in film technology. "It was actually the StoryTel film about Saint John Cantius that inspired me . 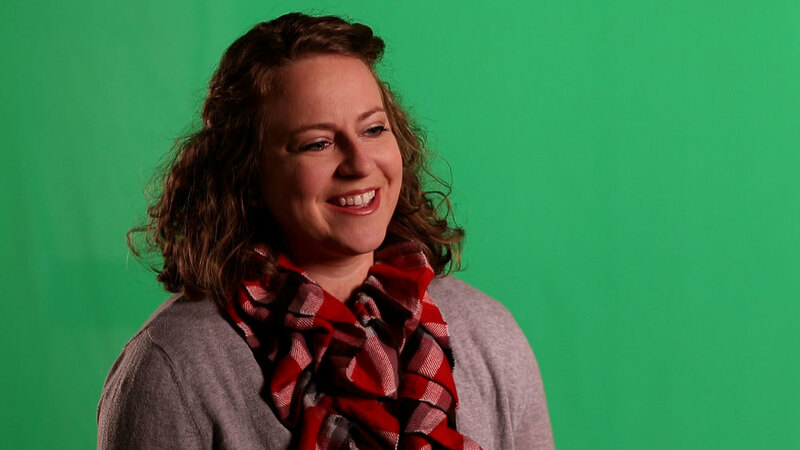 . . moved me in my heart to do what we’re trying to do now at Saint Peter's." The project. Our web visitors faced several hurdles on our old website that we wanted to improve. We redesigned the website to better communicate our mission and that we depend on donations. Second, we made it easier to order DVDs and make donations by streamlining the process, allowing us forgo PayPal's off-site system. Finally, we came up with a great way to better showcase our films and active projects. Online Store. Our DVDs are now easy to obtain with our online shopping cart, but we also allow our visitors the ability to make a donation of any amount to receive a DVD, or even request a copy for free. Donations. The new site clearly shows that we continue our work only through the generosity of donors. We've also introduced the concept of supporting a particular film project. Showcasing our work. We took inspiration from some of our favorite media sites, such as Pixar and PBS, designing a pleasing web experience that makes it easy to navigate through our entire body of work. November - Miles Christi Film Completed! Sent to EWTN! 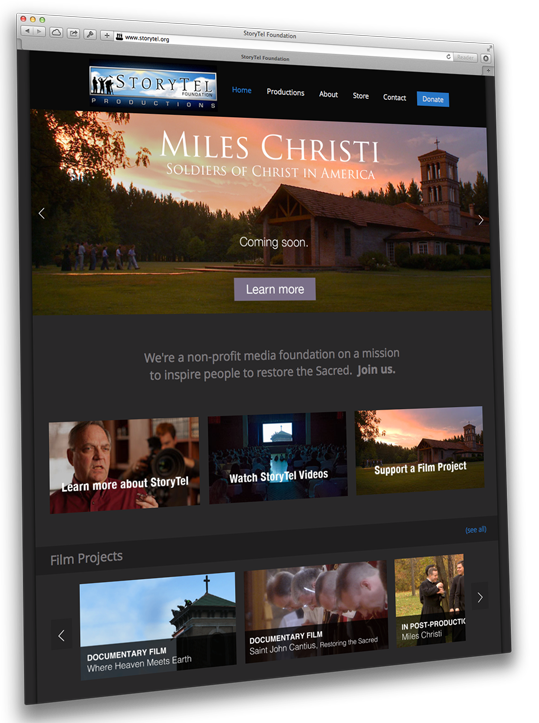 Our biggest achievement of the year was to complete the production of our latest film, Miles Christi, Soldiers of Christ in America. After test-screening it with a small group of people, we sent the master copy to EWTN to begin their review process, which will culminate with the film's televised premiere. Why take on this project? We were intrigued with the idea that two priests and a brother from Argentina would come to the United States with little money simply to help the lay faithful become holy. The more we followed them during the filming process, the more we became engaged in their charism and the beauty of their religious life. It has been an honor and a blessing for us to tell their story so that more and more Catholics can know about this wonderful order and benefit from their retreats and spiritual guidance. StoryTel Foundation is a non-profit film production company that tells and distributes the stories of worthy organizations regardless of their ability to pay the full cost of high quality production. Most of the production cost is subsidized by the donations of people who share our vision. None of this work would be possible without God's help, or yours. Please prayerfully consider making a donation today to help us continue our mission. Thanks so much for your prayers, as well as your financial and moral support. Have a wonderful Christmas and a very happy New Year!